One way to experience the embodiment of the saying, “If you’re a hammer, everything looks like a nail,” is to get a bunch of academics from different fields together and set them talking. I just spend four days at the UK Fulbright Forum at the Universities of Bristol and Cardiff. About fifty scholars and post-graduate students were thrown together for lectures, presentations, a bit of tourism, and a fair amount of eating and drinking. While there were highlights of the formal program – lectures on Welsh language, history, and politics from Sioned Davies, Bill Jones, and Richard Wyn Jones about which I’ll write more another time – what I’m pondering today are the informal conversations that took place during the week. The participants at the forum, Fulbright recipients working in the UK – came from fields as varied as education, political science, medicine, biology, art, history, literature – and me. As we would chat over breakfast in the morning or drinks at night, there was a typical pattern to many of the conversations. Each person would describe his or her research, and that would be followed by the other person attempting to find a context for that project in her or is work. Blame it on terministic screens, disciplinary enthusiasm, or human nature, we tended to try to locate the work of others’ into our own fields, our own interests. A more positive interpretation of the interactions is that we wanted to find points of intellectual and human connection. The conversations reminded me of two things. First, the concerns of literacy are trans-disciplinary. I found myself finding connections to literacy theory and practices from the neuroscientist studying language and music, the urban planner studying transportation and behavior, or the digital media artist studying identity. It was a reminder that getting outside the readings and conversation in a field can reveal to us new insights and implications for how humans use sign systems to create and interpret texts. Sometimes these connections are direct and explicit. Sometimes I just felt I was finding possible new metaphors to help me rethink my ways of conceiving reading and writing. In fact, getting outside of a field is good for all of us, but for me, I kept coming across ideas with implications for literacy time and again. I was also reminded of how little other academics outside of our field know about literacy and composition studies. Concepts that are a given for those in our field – literacy as a social practice or genre as an evolving rhetorical concern – are still news, and sometimes even intriguing news, to others. Of course this is the case with any field when you encounter someone new, with new knowledge. That said, it is the case that writing and literacy shape and concern all academics – in their research and their teaching. So a reminder that, another benefit of talking beyond my field is the work I can do in helping others to a more nuanced concept of writing and reading, was welcome. For all of us at the forum, we probably still remained disciplinary hammers when we left, but perhaps we were slightly more able to ponder and engage with the uses of other tools. 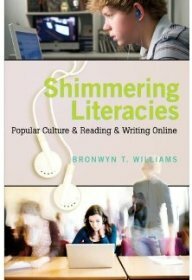 Previous Popular Culture and Representations of Literacy – Out in Paperback!